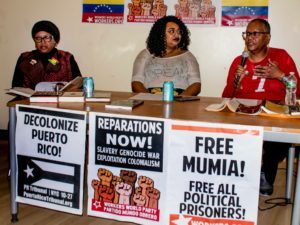 Berkeley and San Francisco, Calif., April 6 — Parents and students with the Caravana 43 traveled to the Bay Area, where supporters organized five days of rallies, marches, forums, vigils and press conferences April 2-6. 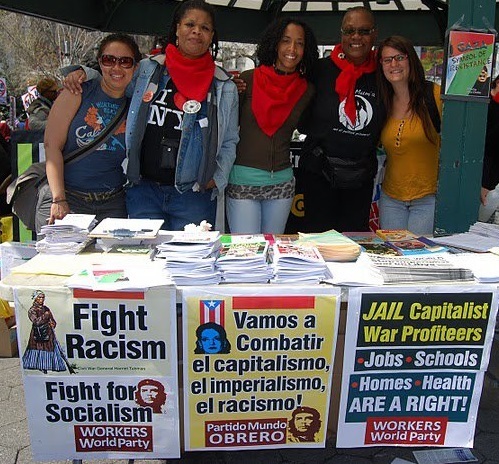 The visit will culminate this afternoon with a picket line at the Mexican Consulate in San Francisco. 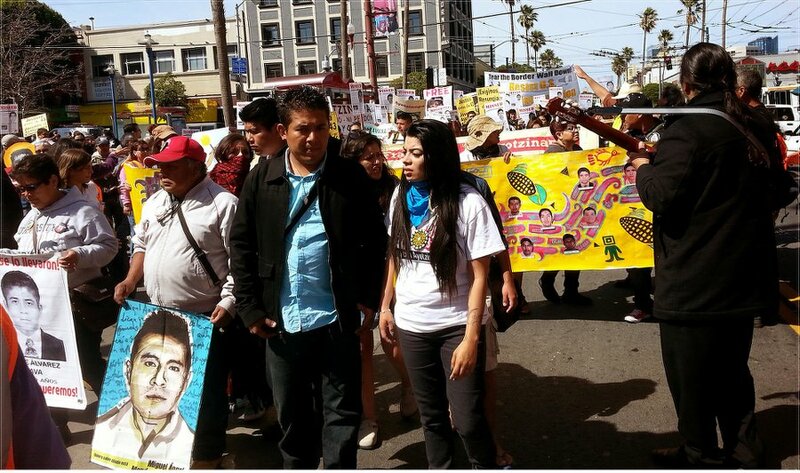 Hundreds of supporters turned out in both Berkeley and San Francisco with signs and banners in support of this grassroots struggle, led by the parents of disappeared Normalista students in Mexico. The disappearance of these youths has shaken the Mexican government to its core. Included in the group were a Normalista student who escaped, joined by his brother and father. These family members had originally gone to the town of Ayotzinapa to bring him home, but wound up joining with him and others in their six-month struggle to find the missing students and get justice. 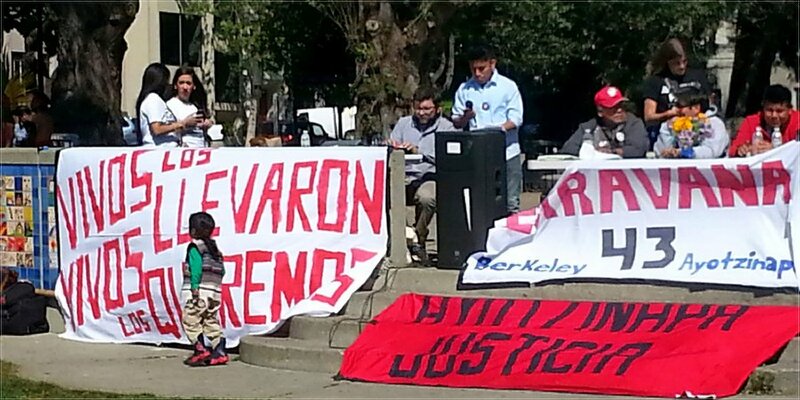 The Normalista student challenged the Berkeley students not to “rest on their laurels,” referring to the radical reputation of the university, but to challenge the government here regarding all the police violence he had heard about in the U.S.